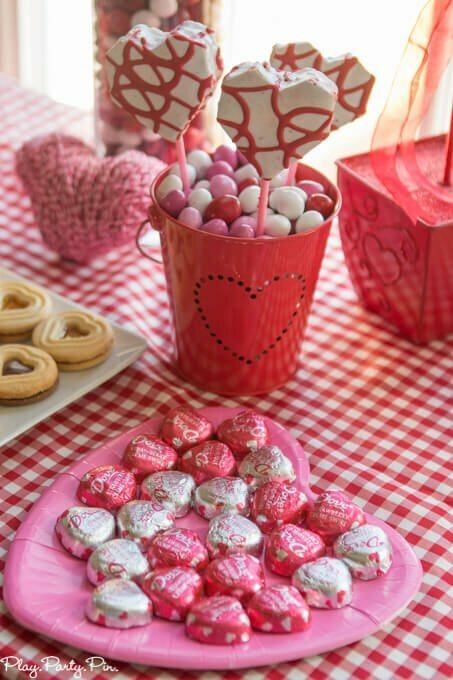 If you love Valentine’s Day, you’re going to love all of these fun Valentine’s Day party ideas from the Craft Your Heart Out Valentine’s Day themed craft night I hosted this week! 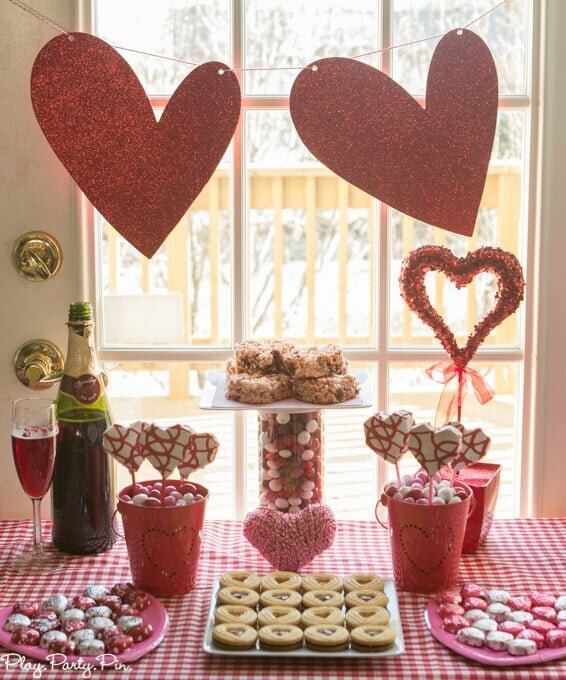 Thanks to #CollectiveBias and its advertiser for sponsoring this post and giving me an excuse to share my #RedVelvetLove by hosting an awesome Valentine’s Day party for my friends! 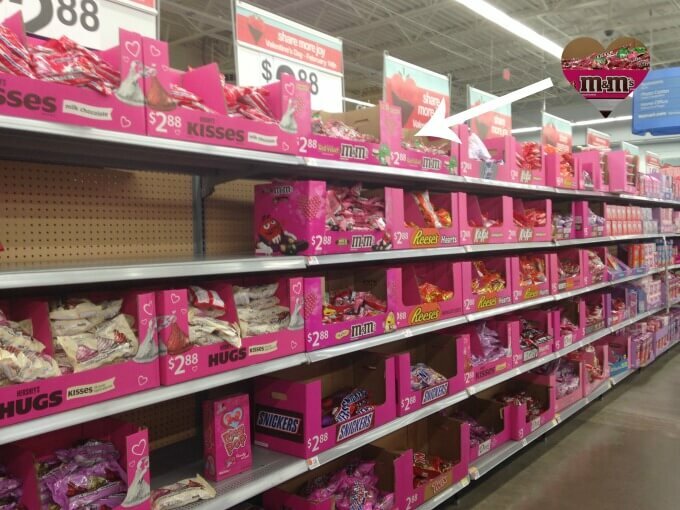 I love Valentine’s Day. 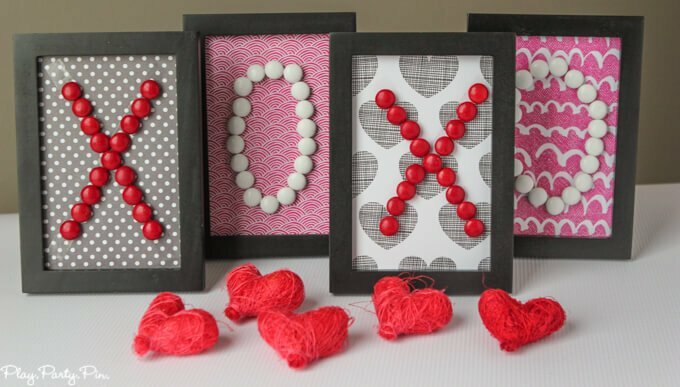 I love all of the cute and corny valentines that everyone makes. 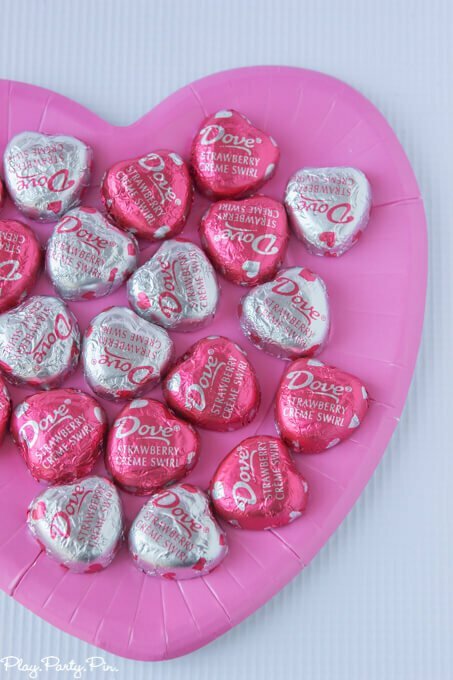 And I miss elementary school where everyone gave all of their friends cute valentines and candy to go with them. 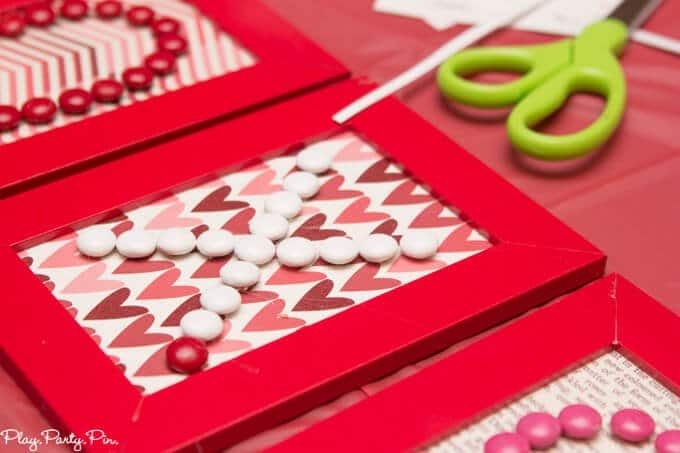 I’m sure in a couple of years when I’m making hundreds of valentines to give to my then 5-year old’s classmates, I won’t miss it. But right now I do. 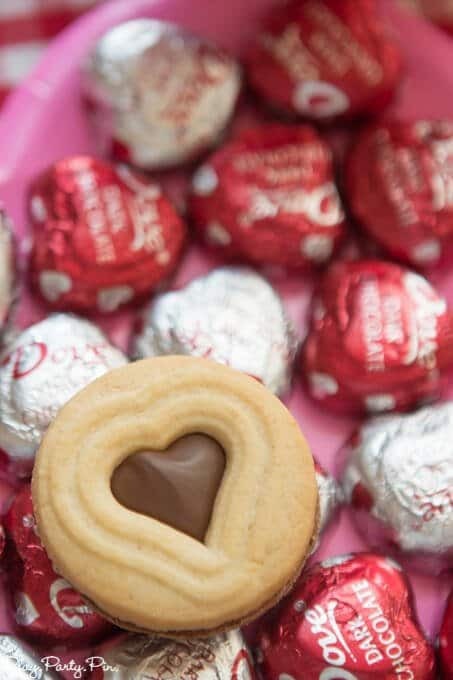 My husband and I always go out or do something special for Valentine’s Day, but that’s just expected. You’re supposed to do something special for the people you love most. 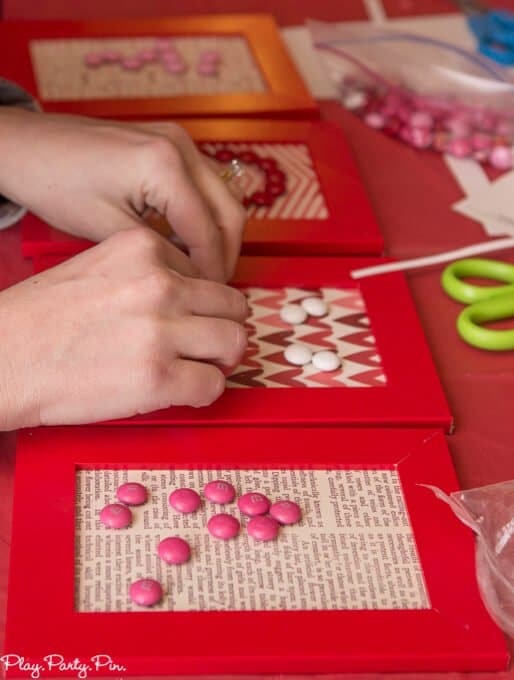 I thought it would be fun to do something a little different this year and go back to those fun elementary school days and give my friends, not just my family, a little Valentine’s Day surprise. 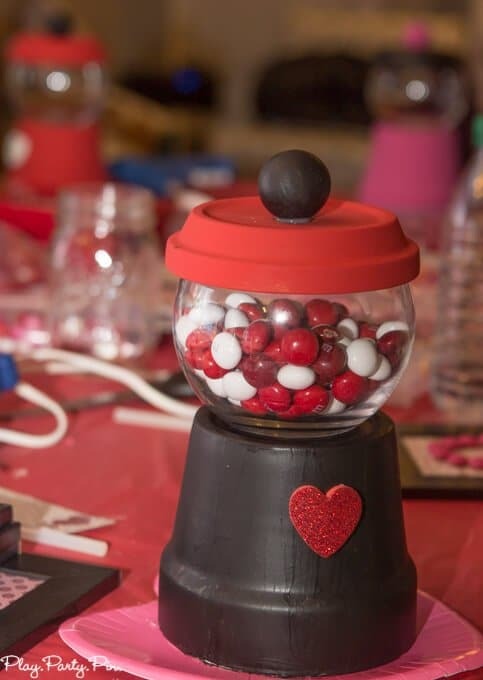 That surprise came in the form of a Valentine’s Day themed craft night, or as I call it a “Craft Your Heart Out” night that I threw for my friends last night. 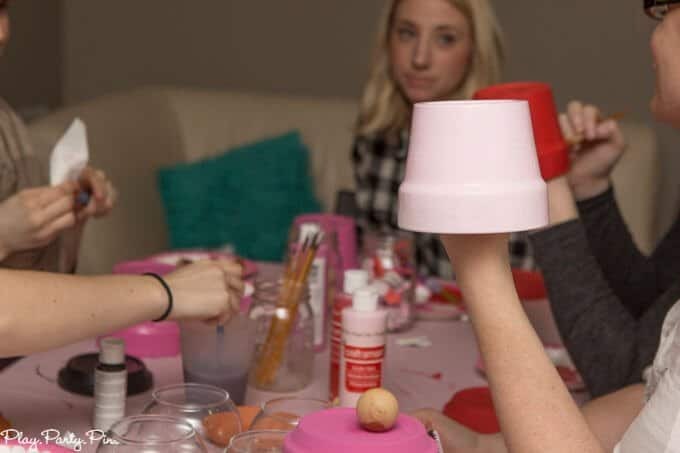 We’ve always talked about doing craft nights together, and I thought this would be the perfect excuse. 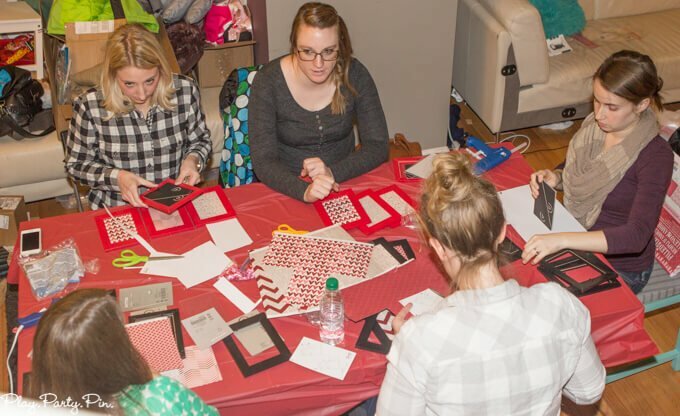 I picked out two simple crafts that I’ve seen all over Pinterest, bought the supplies, and invited some of my closest friends over for a night of treats, crafting, and girl talk. And it felt just like I was five and giving out corny valentines again, okay maybe not quite, but it was still a pretty awesome night. 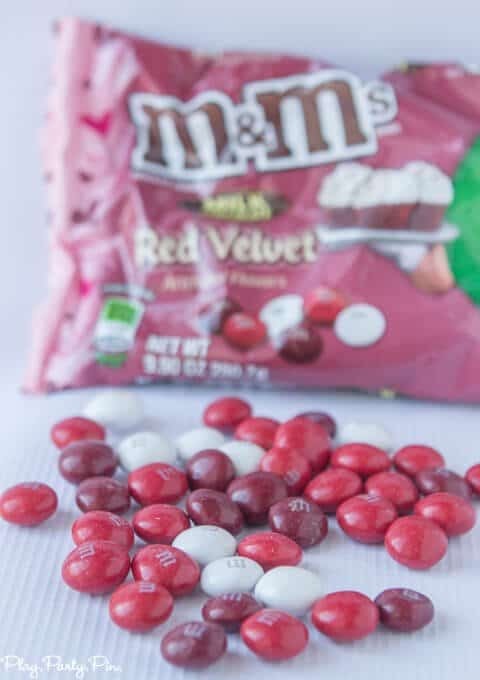 While I was picking up supplies for the crafts at Walmart, I saw M&M’s® Red Velvet and knew I had to try them. I’m a red velvet lover, like no matter what other flavors of cupcake there are, if there’s a red velvet it’s mine, lover. 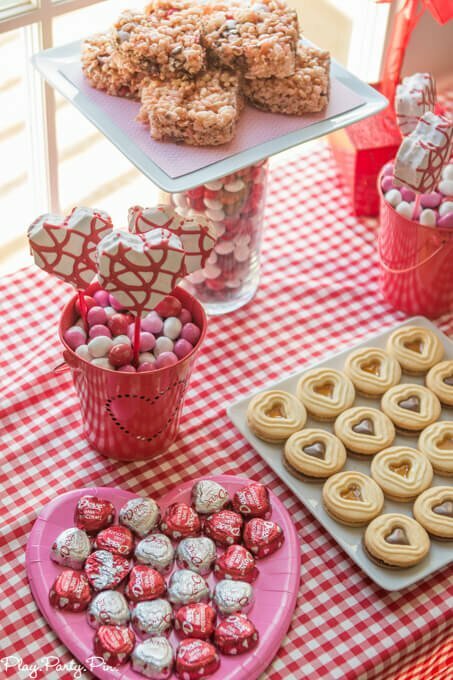 I picked up a couple of bags along with some M&M’s® Peanut and M&M’s® Plain and used those as the basis for my dessert table. 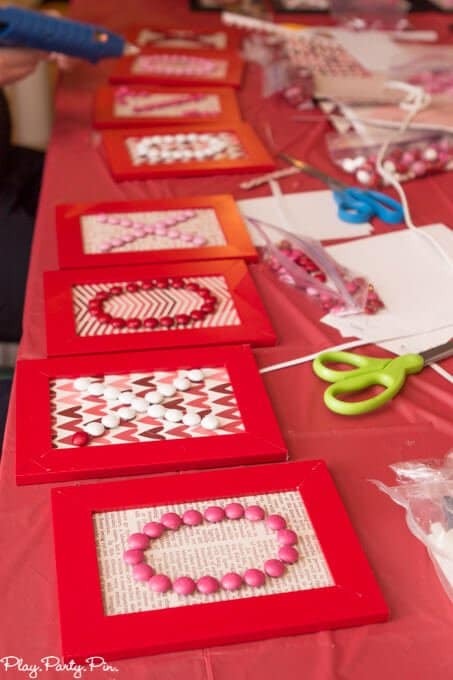 Since it was a craft your heart out night, everything was Valentine’s Day colored and shaped like hearts, hence the craft your “heart” out theme. 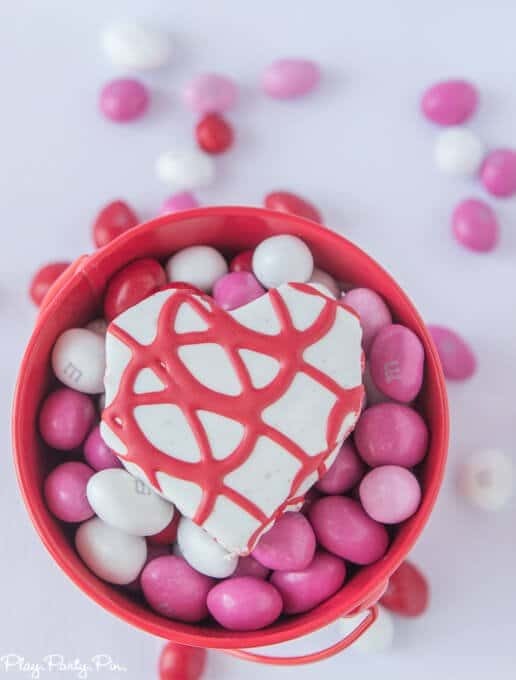 For the actual desserts, I added the M&M’s® Red Velvet and pink marshmallows to my favorite marshmallow treats (recipe below) to create red velvet marshmallow treats in the shape of a heart of course. 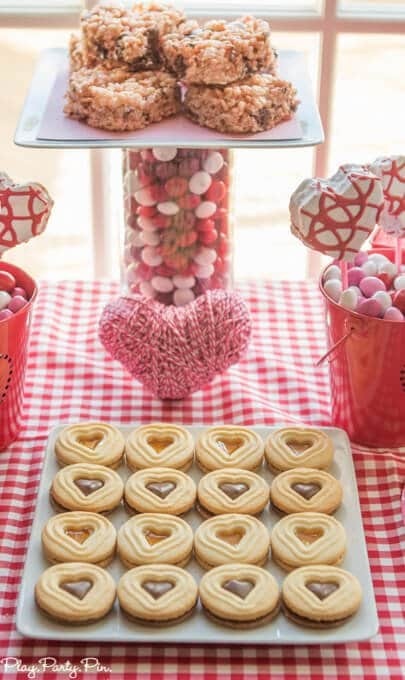 In addition to the marshmallow treats, I also served other fun heart shaped cookies, treats, and chocolate like DOVE® Promises. And since it was a girls night celebrating friendship, I broke out the sparkling red grape juice too. There’s just something about sparkling juice that makes everything feel like a celebration. 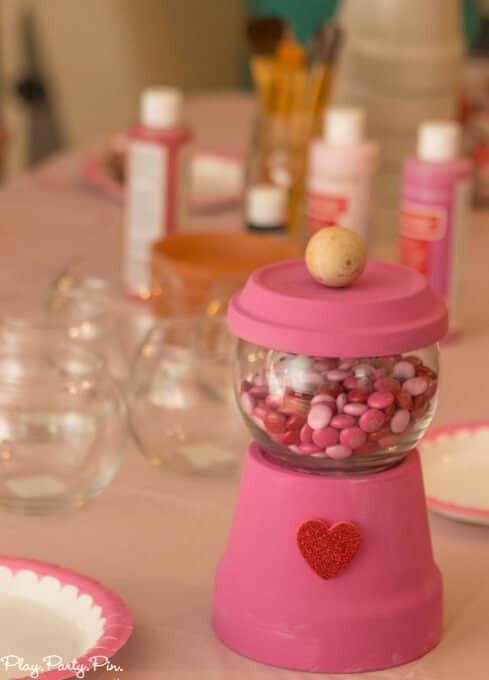 Before everyone arrived, I setup two tables prepped with everything the girls would need to make the two crafts I’d chosen – Valentine’s Day XOXO frames and Valentine’s Day bubble gum machines. And then the fun began. 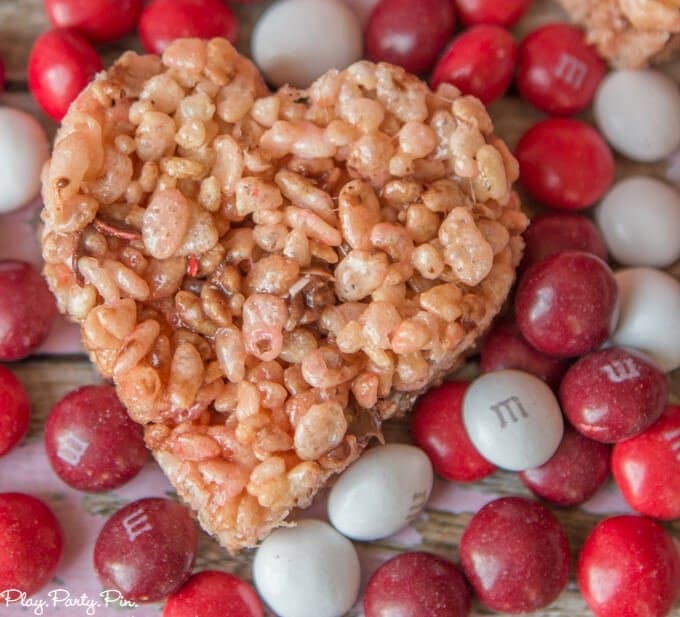 We spent the next three hours chatting, crafting, and snacking on all flavors of M&M’s® and other treats. 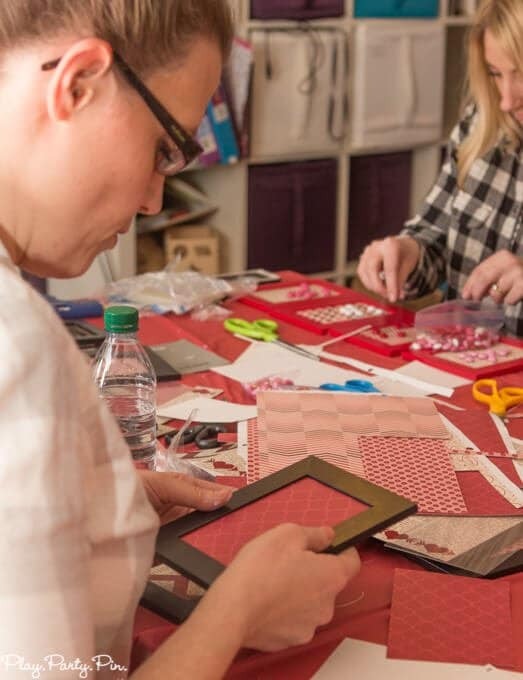 It was such a nice break from our typical playgroup chasing our toddlers around, and I think I’m going to make a girls craft night a monthly thing. And snacking on M&M’s® a daily thing. Melt butter in large pot over low heat until completely melted. 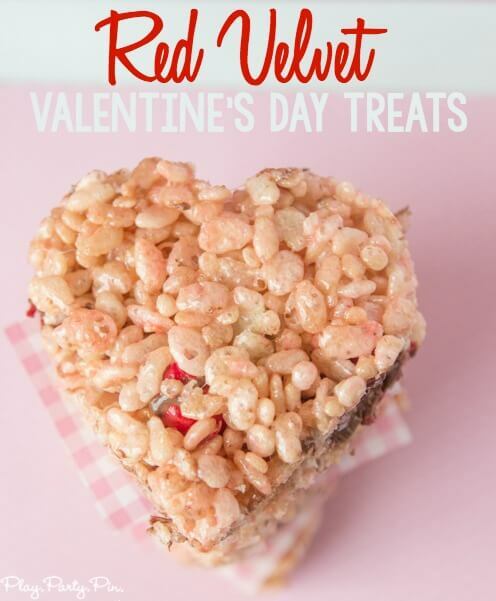 Add marshmallows and melt together over low heat, making sure to stir constantly. 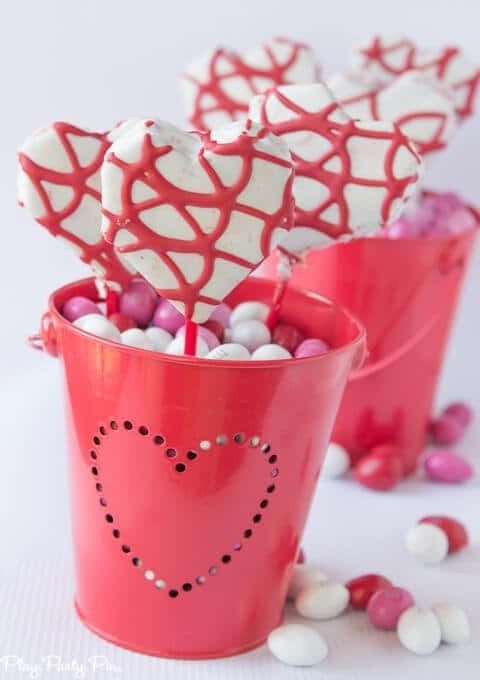 When marshmallow mixture is just about melted, add in milk and stir to combine until completely melted. 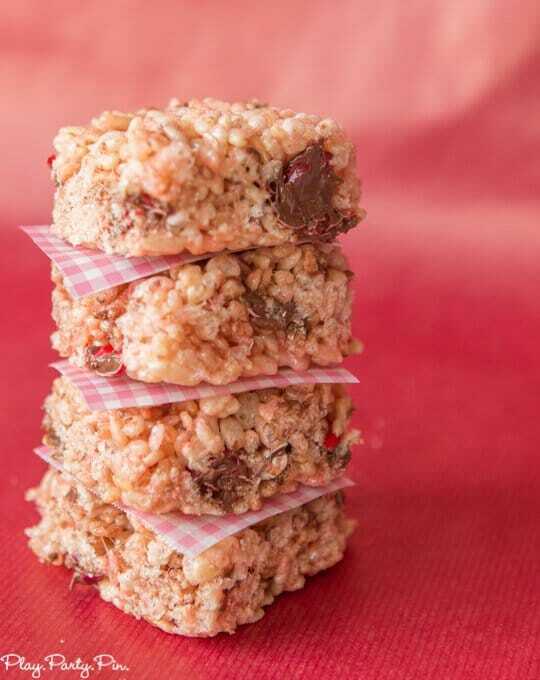 Add crispy rice cereal and M&M's® Red Velvet and stir until combined. Pour mixture into 9x13 baking sheet that's been sprayed with non-stick spray. 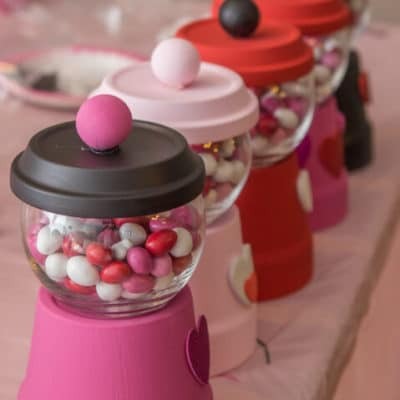 There are some great ideas here, I especially like the DIY Bubble Gum Machine, to cute! 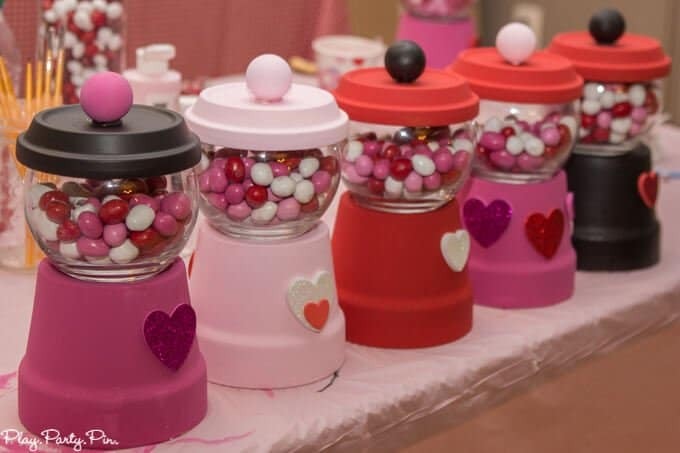 I love the candy vase filler! 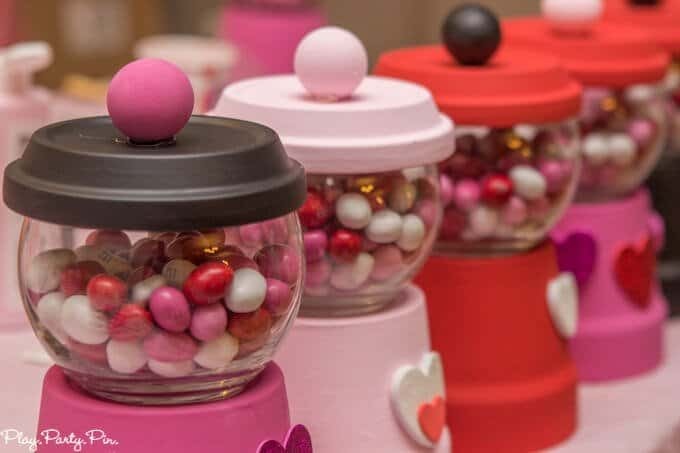 Such a cute display piece. I haven’t seen these M&M’s yet!!! 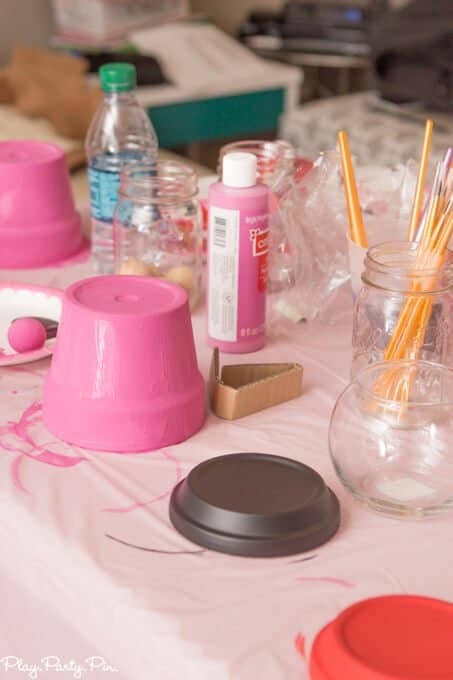 What a great party decor! 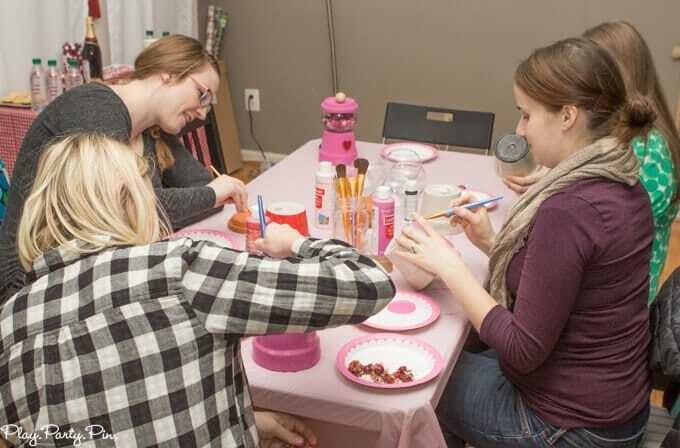 Craft nights are fun! 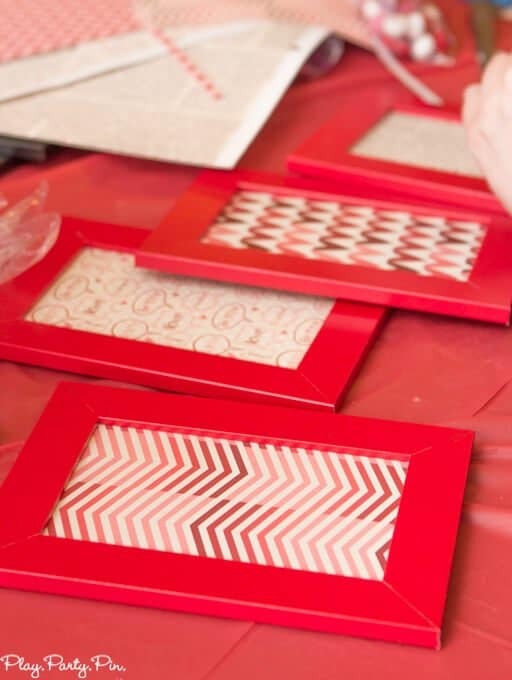 A few of my friends came over before Christmas and we did a project…I’d love to do it again soon! 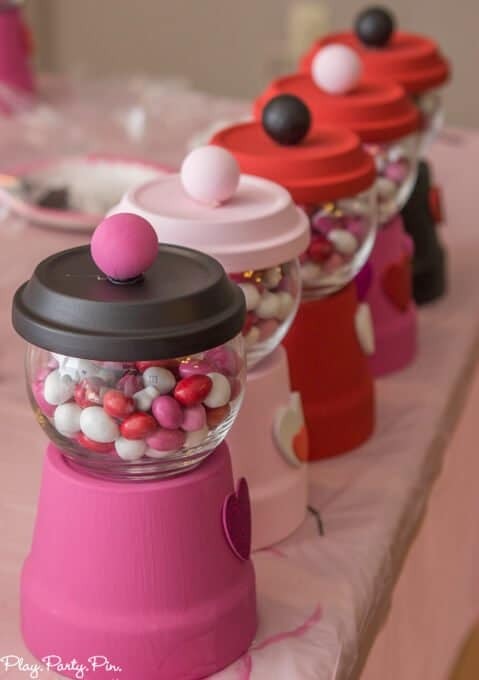 Those M&M jars are adorable! 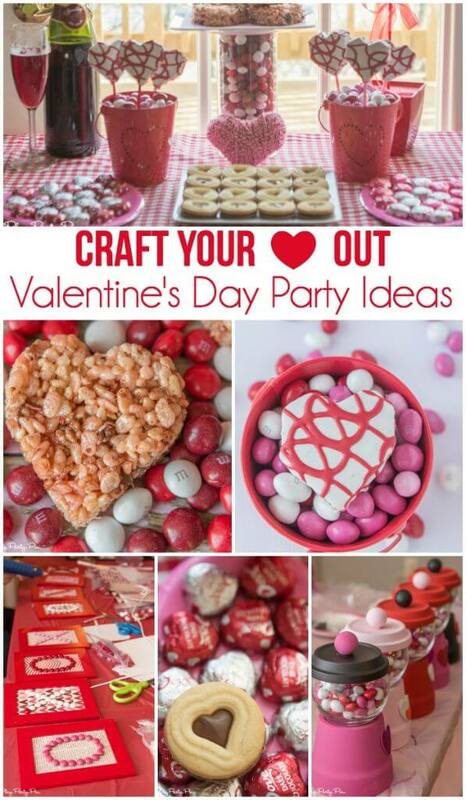 These are really good ideas for Valentine’s day! 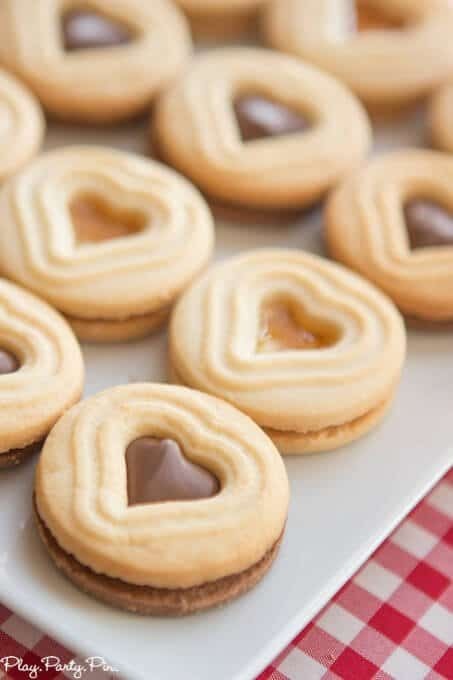 I’m going to try the red velvet recipe for sure plus I think I’ll try to make pinata heart-shaped cookies with red M&M’s!